Rewind back to last November/December time when I was wrapped up in layers, thermals and more layers. Forward to present day and not much has changed, if anything I’m wearing even more layers. As much as I love winter, I don’t love what it does to my skin! 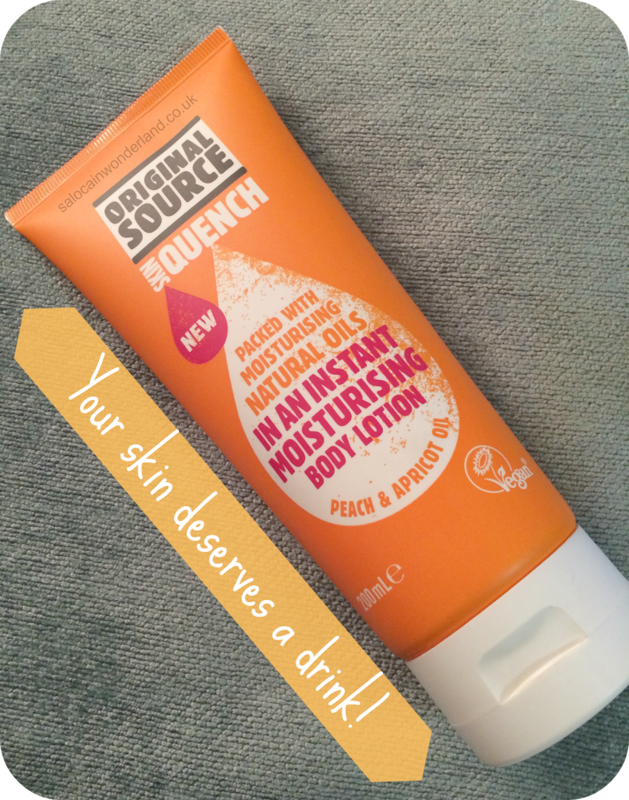 After climate hopping through November with a trip to the not sunny sunshine state, my body came back looking for a damn good drink - say hello to Original Source Skin Quench. The guys and gals at Original Source are best know, to me anyways, for they’re amazing shower gels, packed to the brim with natural ingredients and a scent to blow your socks right off - just try their zesty lemon, that’ll wake you right up on a Monday morning! When I stumbled across a body moisturiser with their name on I was more than intrigued. With a couple of scents to choose from, I went for the peach and apricot. Everything smelt great so the choice was down to packaging and the colour orange always puts me in a better mood! Their peach & apricot moisturiser is infused with apricot oil, designed to give your skin an instant boost of moisture and a much needed drench. It’s packed with natural oils and 100% natural fragrance, it’s vegan friendly and, bonus, made in the UK! Hurrah! I’m all for going local! The lotion itself smells amazing, and I can smell the peach more than anything. The scent doesn’t really linger too strongly on the skin but if you really stick your arm up someones nose they’ll pick up on it’s delicate fragrance, and possibly take out a restraining order. This might sound like a strange description, but, the consistency of the lotion is very wet. It’s almost like ice cream when it’s defrosting. Because of it’s light, wet, consistency, not only does a little go a long way but it’s absorbed quickly into the skin. Once I’ve gone toe to top with this stuff I can comfortably get into my thermal lined tights or my skinny jeans without any more pulling and tugging than usual. Once I’m out of the shower and patted down dry I apply Original Source Skin Quench from toe to top, avoiding my face and eyes. In just a week of daily application I instantly noticed my legs where much less lizard like and my elbows where looking all babies-bottom smooth. I do think daily body brushing and weekly exfoliating goes a long way too, but if your looking for something less high maintenance, this could be just the golden ticket. Would I repurchase? Yes. It’s affordable, it smells great and it does the job. Pair it with an Original Source shower gel and you’ll be positively beaming on the outside, no matter how rough and not-so-ready you feel on the inside! 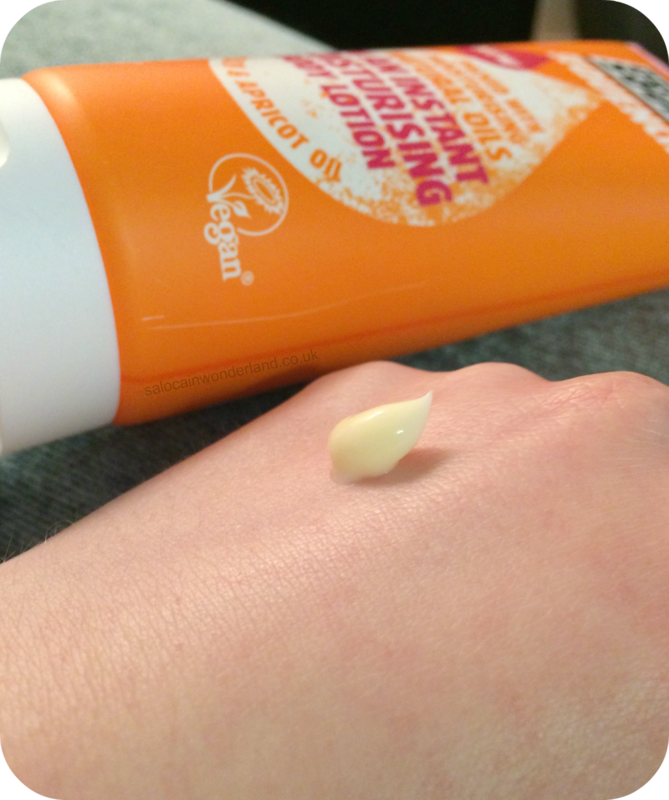 Have you tried Skin Quench by Original Source? Let me know in the comments below!